Many of us have probably interacted with quite a few chatbots in customer service. We’ve seen bots pop up in different forms all over the internet, from powerful Slack chatbots to AI powered assistants. Facebook is one of the biggest proponents of the new chatbot craze, though, with their messenger platform powering some of the most widely adopted bots. It makes sense, too. Just about everyone and their Grandma (literally) has a Facebook account, and Facebook Messenger has about 1 billion monthly active users as of mid-2016. 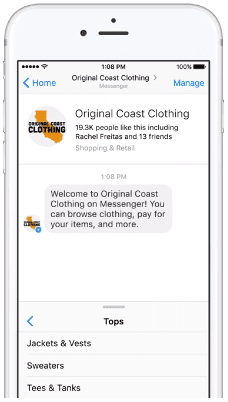 It’s a no-brainer for businesses to see the benefit of adding chatbots to their arsenal and utilizing Facebook Messenger — one of the most popular platforms to supply users with easy access to support. Easy access to support is what helped the call center evolve into a contact center, after all. However, with reports coming out of users ditching bots, Facebook has been hard at work themselves. The teams didn’t just throw bots out to the developers and let them go to work. Just last week, in fact, Facebook introduced a couple of new chatbot features that we were very curious to take a look at, hopefully addressing the bot’s “failure” to deliver. This might even change how we view bots from here on out. We may not all love them, but bots are alive and well and don’t seem to be going anywhere anytime soon. Chatbots are proving to be a big part of the modern ominchannel experience — except now, we will interact with bots in a totally new way. Facebook’s update focused mainly on improving the usability and adoption of bots. Previously, bots were all about the conversational approach. Users could text bots just as they would their friends and still receive the specific information they needed. However, it turns out that not everyone is so keen to text a bot — especially when they know it’s a bot. Most are more than happy to text an agent, however. Facebook grouped together a bunch of goodies that not only expand upon how bots function and how we interact with them, but also the ease with which we share bots and spread their adoption. Oh, and there are a few more developer goodies to play around with. This could help reshape the way we look at and interact with bots. All in all, Facebook’s additions help improve the way users will interact with bots. From persistent menus to new sharing options, this update provides developers even more tools to expand their bots’ core functionalities. I’ve said this time and time again, and always will: it’s all about user experience. Many of us don’t realize that it’s the little things that keep us coming back to a platform. It’s why the many Slack Alternatives haven’t really chipped away at the market hold Slack has. 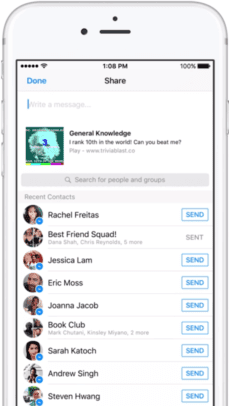 So, let’s take a look at Messenger’s newest additions and break them down one by one. Right off the bat, the biggest change that Facebook made to their bot platform is the new enhanced menu structure. 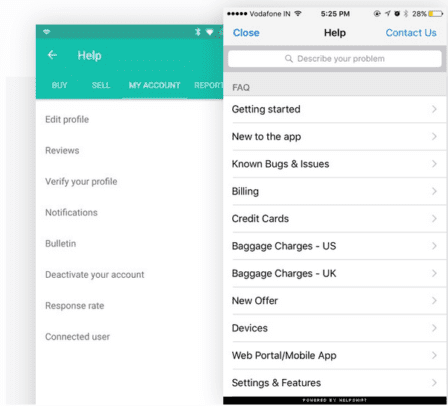 This reminds me of other solutions we’ve taken a look at, such as HelpShift’s in-app support. Essentially, the new enhanced menu structure will allow users to navigate bots through exactly that — a menu. 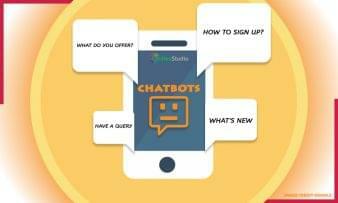 provides users a new method of discovering chatbot functions, and directly selecting from all the features that a bot offers. users can use within the persistent menu to drive bot interactions. gives developers the option to hide the “composer” section of the chatbot. This provides a simpler Messenger experience without users having to deal with the conversational capabilities. along with web views, allows developers to launch rich workflows and experiences directly from the menu. As previously explained, users now have the option to simply navigate through the platform using a bot’s “menu.” This could prove to be truly beneficial for mobile users who don’t necessarily have the time to work through a conversation, or are hoping to navigate through a more “open” experience. Facebook noted that, combined with web views, this update will allow developers to construct rich workflows and experiences. Essentially, this means that users won’t have to, for example, jump to a website to find all the information and product categories they are curious about. 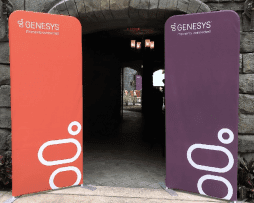 The experience will allow users to “flow” through the menu to find the information or resources they need. As a real world example, you can simply open up a flow menu for users to navigate options themselves. 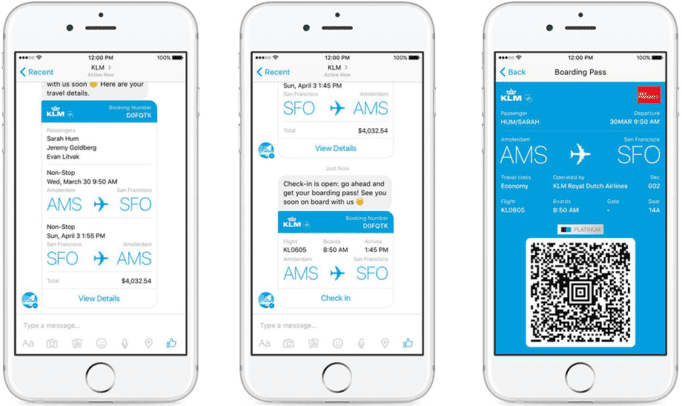 In the popular airline use case, users could flow through a menu of any relevant information. Users can expand the menu to discover more options such as: reschedule, check delays, book a new flight, or whatever else is helpful. Up next we have features to grow your audience. Implemented for developers to provide users with new ways to introduce bots to friends and family, these functions are simply updates to Messenger’s sharing capabilities. This is all still tied to the usability and experience that bots provide . After all, the quickest way to spread adoption is to get everyone talking about and sharing a specific platform — and Facebook knows a thing or two about increasing adoption. Essentially, this allows developers to provide even more context surrounding shared messages to recipients. The example that Facebook provided, while not an exact business case, helps clear up some confusion. 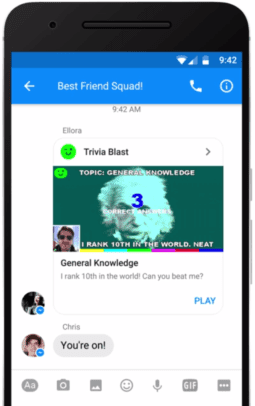 When users share their score from the Trivia Blast game in webview, users can simply press a button to message friends who share the same rank. Users can also include a challenge link so that their friends can access the game (bot) directly. This update will allow developers to customize what this message contains, how it looks, any images it may have, and any specific buttons they want to add. This opens up a whole new world of sharing for bots, which in turn allows users to rope more of their friends in. For example, if your business is an online shoe retailer, you could provide users with a “Share My Options” button, which would allow them to send a custom message with their top color choices to a friend. This share would also include buttons for the recipient to jump right into the website, or start a conversation with a bot. Facebook also added an extra layer on top off the increased sharing functions. Developers can now link their custom shared messages directly to their bots by using what is known as the bot’s m.me URL. This means that when recipients click on the link they will be directed to the bot for a brand new conversation. 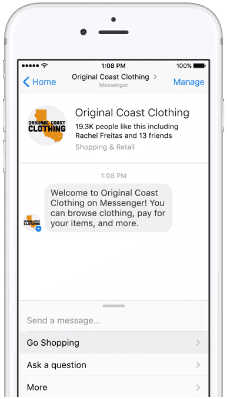 In addition, Facebook expanded sharing capabilities for webview with a new “Send in Messenger” button for a seamless transition for customers and users. We lumped a couple of changes together here, but overall the changes still relate to how users will interact with — and, more specifically, share — chatbots and their helpful information. Developers now have the tools they would need to create simple share links. The simple one-click action is an evolved alternative to forcing each new user to go through an otherwise lengthy process of establishing a conversation with the bot (even two or three clicks could be enough to discourage users). 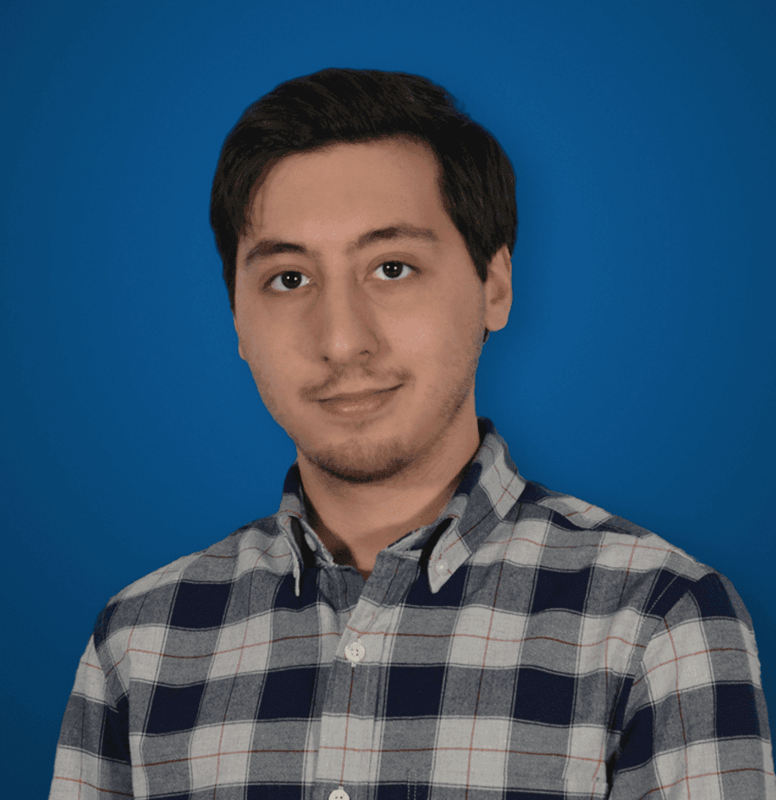 Reference parameters allow developers and those in charge of adoption to keep track of how exactly users managed to find their way to the bot. Useful tracking and analytics like this are what help a business understand what is and isn’t working, and how to tailor their next approach. The addition of simple webview sharing is also great because it helps bridge the gap between computer and mobile users. Updated Customer Matching: This is an existing feature that allows a business to message people if they provided their consent and phone number. Facebook is expanding this feature to allow for even more information, like full names, to help increase accuracy. 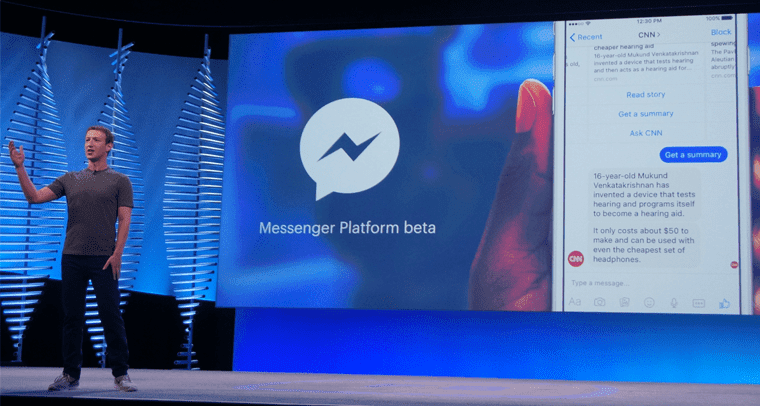 Messenger Profile API: Building off the existing API, Facebook added a new Graph API endpoint so that developers can share bot information and analytics in an easier-to-understand format. Payments pre-checkout event: This is a new webhook event trigger that can notify developers when a user is checking out. 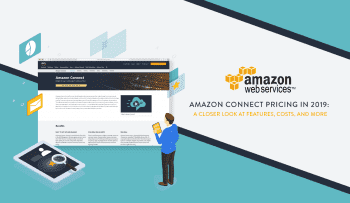 This allows developers to provide updates to the customer’s final price prior to payment, which allows the website to display the combined tax and shipping cost before checkout. Additional Bot Analytics: Facebook extended what developers can track and measure bot engagement and success. The criteria now includes threads, block, delete, and report rates. Facebook was one of the earliest adopters that really pushed for the use of chatbots. Some of their original updates and pushes go back as far as April of 2016. Don’t get me wrong: chatbots have existed for a very long time prior to 2016, but Facebook is, without a doubt, helping to push them into the mainstream. It makes sense: Facebook is used by and familiar to so many, with Messenger being one of the most widely used platforms. If a business wants to open up a channel of communication for its customer, why not use the platform their already using? However, the main focus here really is what Facebook is doing to help the cause of chatbots. We’ve discussed at length why your business should start using chatbots and how important different add-ons will benefit contact centers of the future. Overall, we still think chatbots are here to stay, and we’re happy to see them evolve. IVR has proven to us that tech can become outdated, annoying, and down right unhelpful if disregarded and implemented without much thought. Facebook is pushing us in the right direction here. Personally, I understand the want and even need for a simple, persistent navigation menu. The idea behind bots is that conversational assistance is something we’re used to. It makes sense to us and we probably wouldn’t hesitate to text someone for a simple request. In reality, though, not everyone cares for this. A bot is only as strong as its AI allows it to be. Now, AI is moving way beyond where it was and can power some impressive AI ominchannel experiences; however, it will still have its limitations. Bots are well-regarded as being just a first line of defense and, just like IVR, many will try to bypass this for a real person. A persistent, integrated menu allows users a simple, new way to navigate the tech that already exists. This is just like the in-app help we spoke about, and even the more modern approach to a smart IVR system. With less than a year behind them, Facebook is already recognizing and addressing adoption issues related to bots. This, of course, signifies a change from previous predictions. It can almost be interpreted as bots “devolving” into a simpler state of menus. However, at the same time, increased sharing options and even customization options for the developers expands a bot’s capabilities.